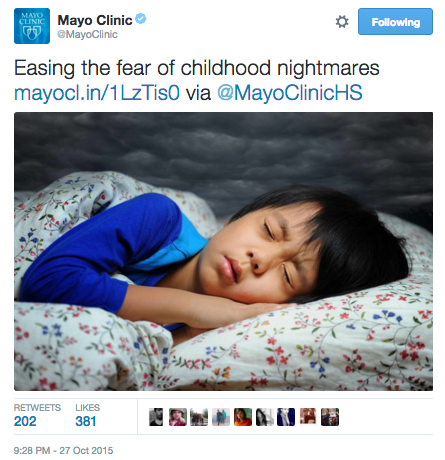 On Tuesday we looked at some of the most popular Mayo Clinic Facebook posts of 2015. Today we review 10 of the highest-impact tweets of the year, and some reasons why they attracted attention. Live events can boost interactions because so many people are focused on a common hashtag. 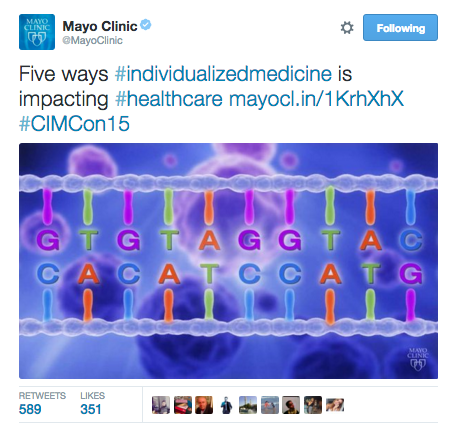 Our top tweet with 940 engagements was during a Mayo Clinic conference about individualized medicine. 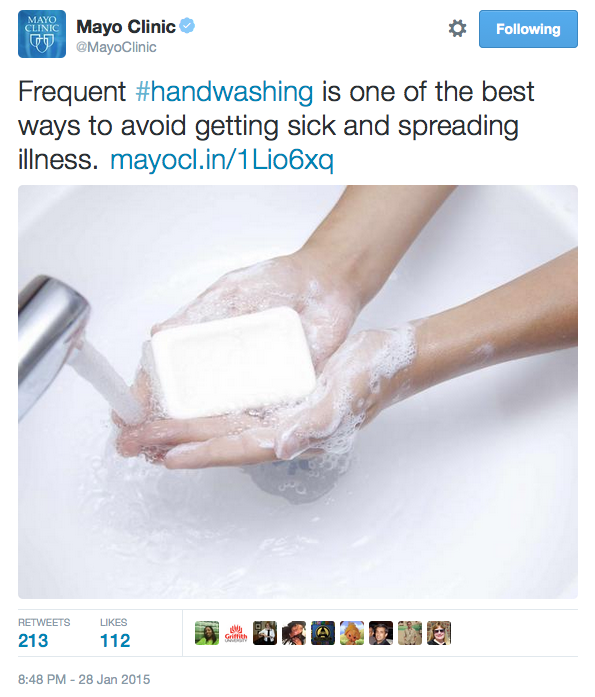 Parenting tips provide shareable content and this tweet had 584 engagements. 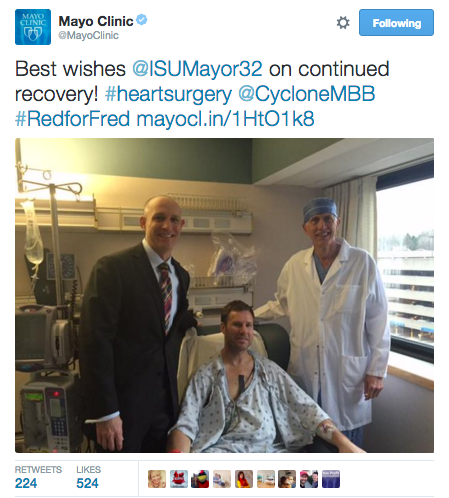 Former Iowa State basketball coach Fred Hoiberg was one high-profile Mayo Clinic patient and this tweet had 748 engagements and 1,600 click-throughs. 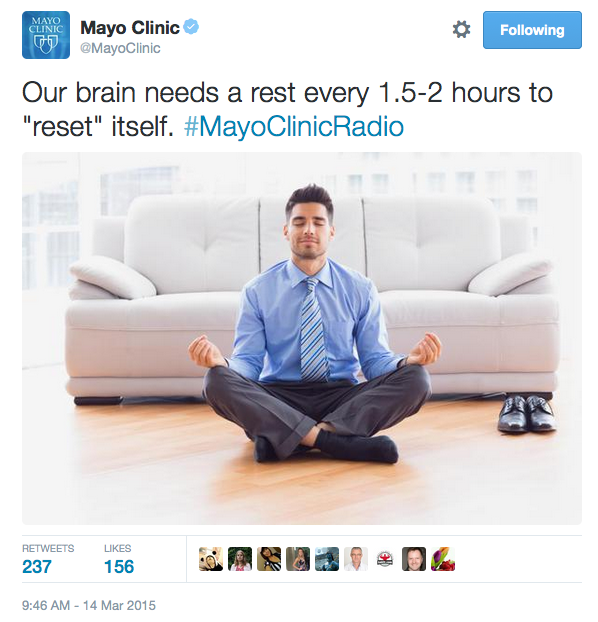 This quote from our Mayo Clinic Radio show had 237 retweets. Good content lasts forever. We repeated this timeless tweet several times throughout the year, and it was popular each time. 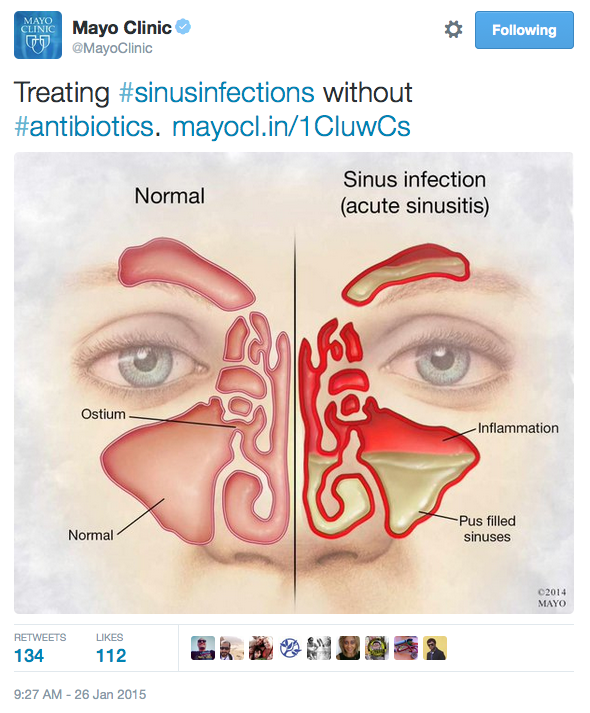 Our team has been working with Mayo Clinic Proceedings to promote new research studies on social media and this one got 6,300 click-throughs. As we found with this topic on Facebook, this tweet was highly clicked (more than 1,600 times) but not frequently shared. 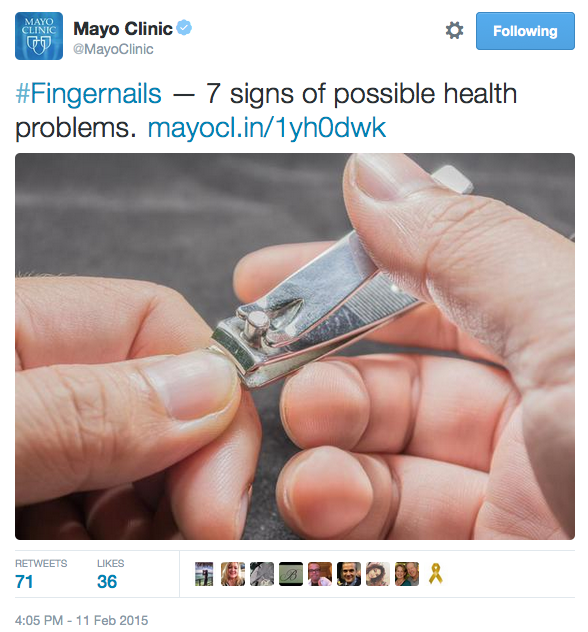 Most folks want to keep fingernail concerns confidential. 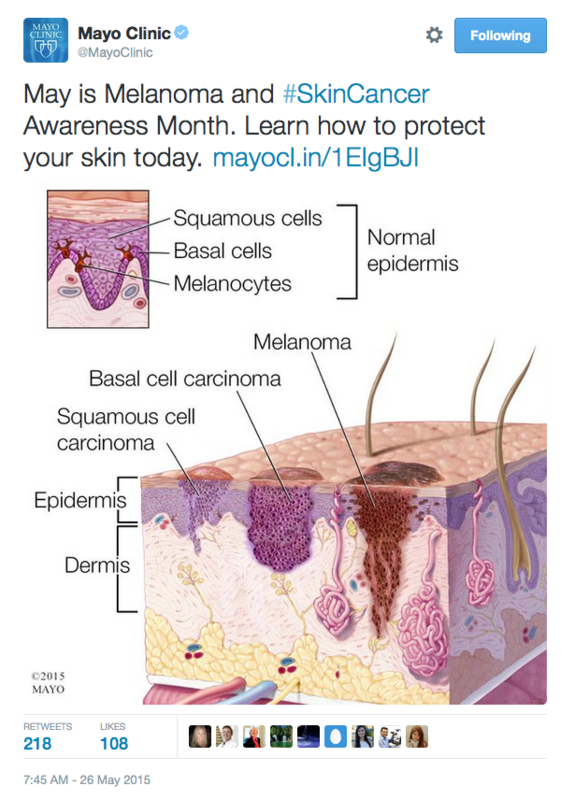 Coming Monday: Top Mayo Clinic YouTube videos of 2015.